As an old Psionics fanboy (actually since AD&D 2nd), I was nicely surprised after reading the original rules from Supplement 3 – Eldritch Wizardry (and I don’t know why I didn’t do it earlier). The text, as usual, is poor edited and ambiguous, but the system is very promising. The responsible for picking up my interest is this post from the Wasted Lands. Fantasy Concepts Campaign Resource, by Jason “Flynn” Kemp, of Samardan Press Publication is a basic set of d20 rules that draws inspiration from the one of last products of the “3rd Edition Era” by Wizards of the Coast – the great Star Wars Saga Edition line. I became a fan of the latest version of Star Wars d20 game and I had great hopes that D&D 4th Edition would follow a similar path. 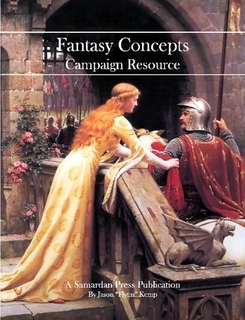 Since the release of the so called “Saga Edition”, I was excitedly waiting for a fantasy variant of the system and that’s exactly what Jason delivers with his Fantasy Concepts Campaign Resource (or FCCR). FCCR follows the basic rules and ability scores of traditional d20 games, with the same feat/ability progression of D&D 3rd Edition. The difference here is that all player characters receive an universal modifier (half their total character level) to certain rolls and stats like save scores and trained skill checks. Other rules (known from Star Wars Saga Edition) are: base classes with talent trees – special abilities similar to feats; save score values that are fixed, like AC in classic D&D, beginning at 10 (with Reflexes being used to resist melee and ranged attacks); every character in a combat round can execute 1 standard, 1 move and 1 swift action (a standard action can be traded for a move action; while both standard and move actions can be traded for swift actions); rules for Damage Thresholds and Penalty Levels (to simulate serious wounds, fatigue, poison and knockout effects); no iterative attacks, unless you buy certain feats. FCCR also uses action points (gained per game session, not level). Instead of alignments, we have rules for allegiances, whose mechanical effects are left in charge of the GM (but the book does give some suggestions). We have rules for humans, dwarves, elves, gnomes, half-elves, half-orcs and halflings (the principal difference here being the use of rerolls to simulate some racial benefits). FCCR has five classes, all very broad and customizable. The game actively encourages multiclass. The base classes are aristocrat, expert, mystic (with a talent for divine spellcasters), outlander, scholar (with a talent tree for your classic magic-user) and warrior. The books has the classical group of feats found in the SRD and the fantasy equivalent of some feats from Star Wars Saga Edition. There are item creation feats, modeled by the item’s effect instead of the traditional categories. After that, we have a chapter for the talent paths. It’s here that we get the spellcasting rules for the mystic and the scholar (every spell level requires a feat, with the first one opening up 0 and 1st-level slots). A nice touch is given here in the form of racial paths (talents restricted to specific races). Skills in FCCR are level-based, either you’re trained or you are not. New trained skills are gained through multiclass or feats. This greatly simplifies the game. There’s an option rule for ‘Competent Heroes’ where the universal level modifier is also added to untrained skill checks (a good call for ‘pulpish’ games). In the equipment chapter we get the rules for weapons and armors (in FCCR they substitute your Reflex save score, unless the PC has access to special talents), including masterwork items. In the combat chapter the main difference to other d20 games is that the BAB is also added to the character’s damage rolls. It’s a dramatic change to the game dynamics and I’m not sure if it works with rules like Damage Thresholds and Penalty Levels. Just to clarify, Penalty Levels work a lot like the Condition Track from Star Wars. Closing the book, there’re a chapter dedicated to environments and hazards, one to magic and another to creatures. These last two don’t give complete descriptions of spells or monster, but offer simple guidelines to convert the traditional rules to FCCR. 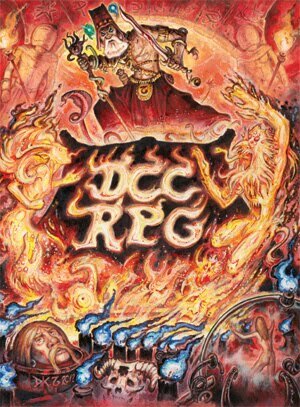 FCCR, as its name lets clear, is a great resource for those who enjoyed Star Wars Saga Edition and desire to use it in their fantasy campaigns. This particular incarnation of the d20 rules is more streamlined and simple to use, especially at high levels. FCCR also is better suited for low magic settings or scenarios with a swashbuckling flavor. The price of the physical book may be a little high for some, as we're talking of a 108-pages paperback with simple layout and no original art (remembering also that it is not a complete game). But there is a digital version available for half the price, which makes it an excellent deal. An extremely odd creature emerges from the ground. Its looks like a weasel but with deep blue fur, a metallic turtle shell on its back and long black claws. Its heinous head appears to be vaguely goblinoid, with small razor-sharp teeth and big eyes like twin pools of darkness. Init +7; Senses darkvision, low-light vision, Perception +11, dweomer-sight 60 ft.
Spd 20 ft., burrow 10 ft.
Dweomer-sight (Su) A gazara can sense and pinpoint the exact location of any spell, spell-like or supernatural ability in a 60 ft. radius. It can also detect the presence of magic items and sorcerers (because of their supernatural lineage). Immunity (Ex) A gazara is immune to all kinds spells and spell-like abilities, even those that ignore Spell Resistance. Divination – the gazara generates an overwhelming aura of precognition; all targets at 30 ft. of the beast must succeed at a Will save DC 15 (Charisma-based) or suffer the confused condition for 1 round. After the encounter, any victim of this effect gains the ability to cast augury as spell-like ability once (this ability disappear after 24 hours). Enchantment – any creature that hits the gazara with a melee attack must succeed at a Will save DC 15 (Charisma-based) or suffer the dazed condition for 1 round. If the victim is a spellcaster or possess spell-like abilities, he’s targeted with a suggestion effect to fall prone before the gazara, provoking an attack of opportunity from the monster. Necromancy – the gazara gains energy drain (1 level, DC 15; Charisma-based) with its bite. Transmutation – the gazara is under the effect of haste. Mistakenly called “goblin-turtles”, they’re are neither reptiles, much less goblinoids. Its origins are unknown, but some sages suspects that gazaras are the creation of a demented archmage with a profound hate against sorcerers. In fact, some wizards of considerable power (and dubious sanity) affirm to be the reputed creators of these magical creatures. Gazaras are sorcerer-slayers, tirelessly tracking any unfortunate spellcasters that cross its path. The creature has a very odd alimentary habit, feeding exclusively on the brain of innate magic creatures, specially sorcerers. Thankfully, this also keep the gazara population under control. When not hunting for food, most gazaras spent their time hibernating. Due to their supernatural constitution, they’re able to sleep for years inside their shells, surviving even without air. Gazaras can understand rudimentary commands and words, but are incapable of speaking. Their intelligence is quite above that of an animal, but they’re still predators, using their limited brainpower exclusively to catch their rare preys. 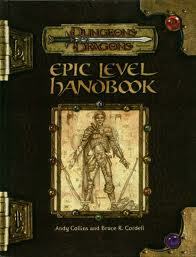 The Epic Level Handbook for the 3rd Edition of D&D was a big disappointment for me. Instead of really epic material for mythological and high fantasy games all I got was just an infinite (and bland) progression of the actual rules, just adding more damage and bonus to the usual mix. Epic Level adventures – at least in that book’s terms – are about dungeons full of absurd and ridiculous traps (some of it the medieval equivalent of nukes) and yet more powerful monsters. Life goes on the same for adventurers. I don’t know how many people remember but when the Forgotten Realms Campaign Setting was released for the 3rd Edition, the luminary Jonathan Tweet posted a great Gen Con article on the Wizards of the Coast site called “Unofficial Rules for Characters Beyond 20th Level” (I can’t find the link anymore these days). The article’s main goal was to share some simple guidelines for what would one day be called epic-level rules. It came to support the high-level NPCs of the Forgotten Realms book. The interesting part is that Tweet (an amazing gaming designer) had a different point of view for high-level characters. I’ll post the contents of the original article here (I have an old printed copy). I hope these rules can give some ideas or insights for those who enjoy high-level games (and also felt cheated with the official rules). Please, remember that the article was written for the Edition 3.0 of D&D. Since we have not yet developed the rules for the proposed “high-level handbook”, we want to provide you with basic rules that you can use. These rules, while unofficial, are compatible with the rules we intend eventually to publish. Or course, you can run 21st-level play however you like. These rules represent our best guidelines. 1 Improvement per level slows down: If you don’t decrease benefits per level, characters became hard to use. In 1973, D&D was designed to work up about 10th-level. The new edition takes pains to make the game work more smoothly up to 20th level. Simply extrapolating the classes past 20th level, however, can give you problems. 2 Levels past 20th scale infinitely: The 21+ rules don’t have a natural cap the way the Player’s Handbook rules do. 3 No level charts: Past 20th level, you don’t look up your abilities based on your character or class level. If we charted features by level, we wouldn’t be able to scale infinitely. Increased Ability Score: Add +1 to any ability score. Since this benefit is available at every level, you no longer gain +1 to an ability score automatically every four character levels. Increased Attacks: Add +1 to all attacks. This increase does not give you additional iterative attacks (as increases to base attack bonus do). Increased Spellcasting: You gain the ability to cast a spell one level higher than your highest level spell (which might allow you a bonus spell of that level, as well). You have to already be casting spells that are the highest level for your class in order to take this benefit. You fill these higher-level spells slots either with metamagicked spells or simply with lower-level spells. Thus a 21st-level wizard can a 10th -level spell slot. (If she has an Intelligence 20 or higher, she gains a bonus 10th-level spell, giving her two per day). She can fill these slots with spells of any level or with (for example) an empowered (+2), maximized (+3), quickened (+4) magic missile. Such spells deals about 33 damage as a free action. Increased Class Features: Gain the skill points and class features one level higher than your current effective class level. For example, when an 11th-level wizard/9th-level fighter achieves 21st-level, she can select “increased class features” as her benefit for that level. With that benefit, she could gain the skill points and improved spell progression of a 12th-level wizard. The “increased class features”, however, doesn’t give you increased saves, increased attack bonus, ability increases, or feats. Classes, however, only go to the 20th level, so you can’t use this benefit to increase your effective class level to 21 or higher. Note: A single-classed character can’t use this benefit. The “increased class features” benefits allows a multiclassed character to get class features all the way up to 20th level in each class. 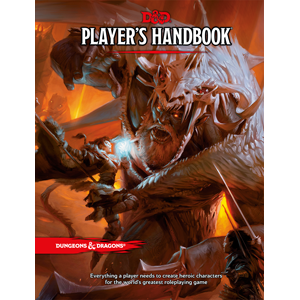 The high-level handbook probably will also include powerful feats (including new metamagic feats) to give high-level characters more options. The Dungeon Master’s Guide tells you the average value of an NPC’s gear by level. This chart scales up with levels the same way past 20th. High-level characters tend to have fewer items, each of which is more powerful. For example, a cloak of perfection could have the following powers: +10 armor (force); +5 resistance, deflection, and natural armor; +6 to each ability; SR 21; and damage reduction 5/+5. Its value would be a mere 1,114,000gp, about a tenth of what a 35th-level NPC would have. Very high-level characters may also have resources other than gear. 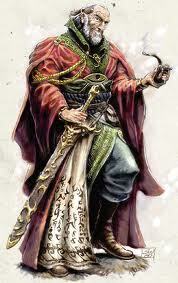 For example, in the Forgotten Realms, the Simbul rules a kingdom. These resources can have a least a nominal value to balance against other resources. I wonder what kind of system we would’ve got with that approach. I can’t help myself but to think that Tweet was right on the spot with such guidelines. THAT was what the Epic Level Handbook should’ve been: a more intuitive, versatile and customizable high-level system; with rules for “buying” kingdoms, organizations and other major structures (this last bit reminds me of the old stronghold rules of D&D). It seems to me to be a lot easier to create new epic benefits than to correct the official rules. Unfortunately, I didn’t have the chance (yet) to test Tweet’s epic system. Even if you don’t liked the system above, I think it is a fine piece of the D&D’s history. Finally, due to this post’s theme, I also would like to mention two other options for epic play that I’m aware. 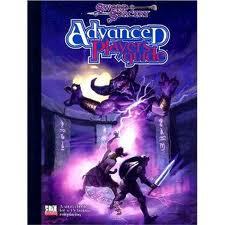 The first is the alternate system of the Advanced Player’s Guide for D&D 3.5, from the Sword & Sorcery Studios. It advances all the base classes to the 30th level, with new mechanical benefits. The second option isn’t really about a high-level system: Epic Destinies for 3.5 Edition*. I know this may sound a little odd, but I enjoyed them a lot more than the final Epic Destiny for the 4th Edition (where these mechanics seem too uniform and insipid). The article suggestion to use such rules for characters between levels 12th-21st also offers an excellent option for those who don’t wish to play beyond the 20th level limit. *Wizards of the Coast site surely is the result of some tanar’ri plot. The thing is a complete mess and all links to the Epic Destiny article for 3.5 let you at the front page. I have a saved copy with me, if any of you are interested, just leave a message.